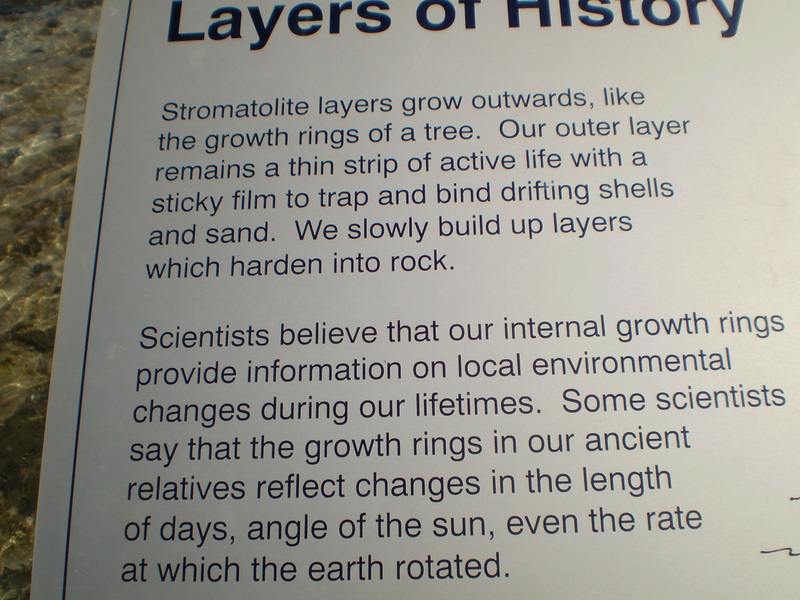 Stromatolite formation occurs in four phases. Firstly filamentous cyanobacteria trap sand grains in mucous. Then heliotropic bacteria lay down a mucilaginous layer. Next sulphate-reducing bacteria form a layer of aragonite crystals. Lastly spherical cyanobacteria bore into this layer making tunnels into which are deposited reinforced crystals of aragonite. 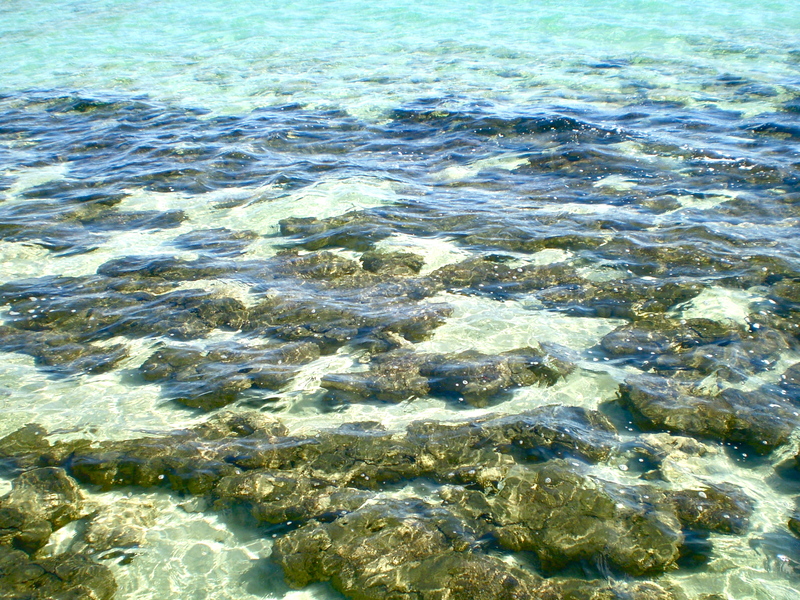 Categories: Preliminary photographs | Tags: cyanobacteria, Hamelin Pool, stromatolites | Permalink.